Freshly squeezed sugarcane juice. All photos by Jessa Blades. If left to our own devices in Mexico, we're likely to OD on pork rinds and mezcal. We should probably travel with someone who has a good head on her shoulders, but we'll settle for the next best thing: fun and healthy Tulum tips from wellness and beauty babe Jessa Blades of . TULUM, Mexico – I was lucky enough to book a last minute trip to Tulum, a place everyone in New York seems has been talking about. I totally see why. 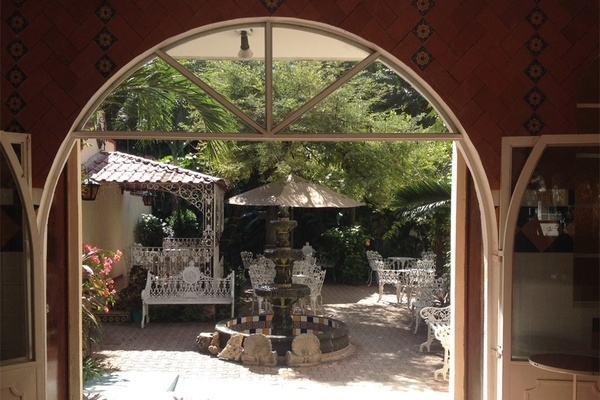 It is a beautiful and relaxing retreat one easy plane ride from Brooklyn. Tulum has a reputation as a wellness destination, and I found exactly what I was looking for: healing treatments, local and medicinal foods (in my cocktails and burritos), and a vibrant local community. 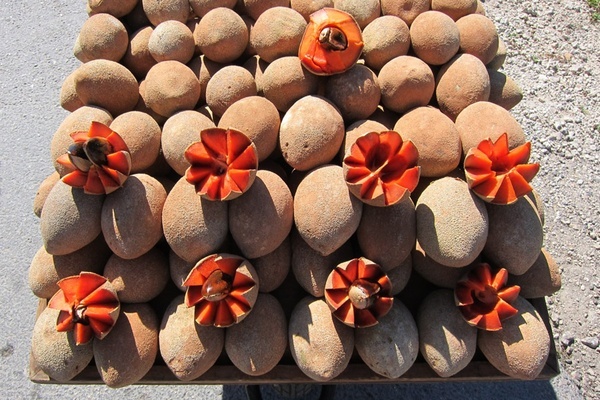 Mamey fruit for sale on roadside carts. Start the day with an incredibly healthy and delicious breakfast buffet at . I'm talking coconut water, chia seeds, fresh fruit, and eggs. For mental clarity, be sure you eat it on the balcony overlooking the ocean. You will see a lot of mamey (pouteria sapota) in Tulum. It's shaped like an avocado but has brown skin, a sandpaper-meets-peach-fuzz texture, and bright orange fruit inside. Mamey is full of vitamin B6 and vitamin C and is a good source of riboflavin, niacin, vitamin E, manganese, and potassium. Buy one on the side of the road and eat it on the beach. They also sell mamey oil, made from the seed of the fruit, a lovely healing oil to moisturize skin. You can buy it at and . Chaya is an ingredient that you see on menus all over Tulum. Known as Mayan spinach or "tree spinach" (cnidoscolus aconitifolius), it's used in cocktails, burritos, and smoothies. Chaya is a great source of protein, vitamins, calcium, iron, and is also a rich source of antioxidants. There's nothing better than a local, medicinal, wild ingredient that's good for you. Get a smoothie at Flor de Michoacan (Ave. Tulum, between Alfa and Jupiter Sts.) with chaya and other fruits, and sit in their sun-filled garden in the back. Also be sure to try one of their famous paletas (popscicles). You can also have chaya in a cocktail at . 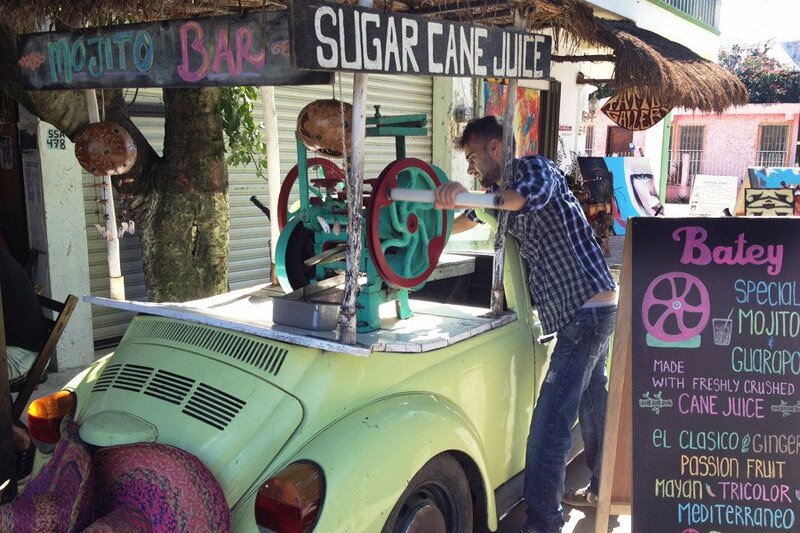 The best fresh-pressed sugarcane drinks in town are at Batey Mojito & Guarapo Bar (Centauro Sur St. bt Ave. Tulum and Andromeda Oriente; +52-1-984-143-3616.) Raw sugarcane juice is really good for you. It has a high concentration of calcium, magnesium, potassium, iron, and manganese, and is alkaline forming. I had a drink with habanero and lime, which was spicy and sweet and refreshing. This place also has the best coffee in town. Yoga Tree Isis at Casa Violeta. Photo courtesy of Casa Violeta. Having a massage was a highlight of my trip. I swear it will mellow-out even the most stressed traveler. 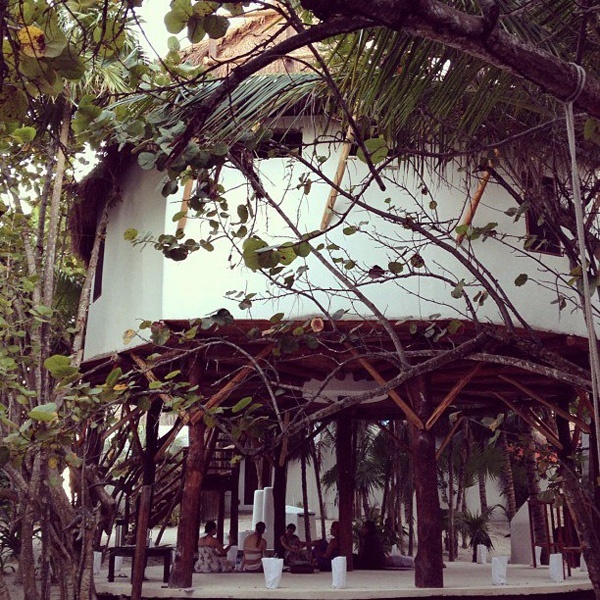 They walk you from the beach road down a path and into a two-story palapa in the jungle. So magical. The massage involves warm healing clay that detoxifies and re-mineralizes the organs and helps deeply ground and relax the body. To finish the treatment, you have to walk to the ocean (covered in clay) and wash it off in the sea. A totally affordable experience you should not miss. I also love the treatment list at at , which includes new-agey stuff beyond massages, like energy healing and sweat lodge ceremonies. Unless you are on a yoga retreat, it can be a bit confusing to find our where to take a class. I found great drop-ins at , , and . I highly recommend doing a sweat lodge or temezcal while you are in Tulum. Experiencing a traditional sweating ceremony is another way to melt the stress away and bring on the relaxation. Just make sure to sign up early or have your friends do it with you, as treatments can be canceled unless enough people participate. On Sundays, head to the beach at . 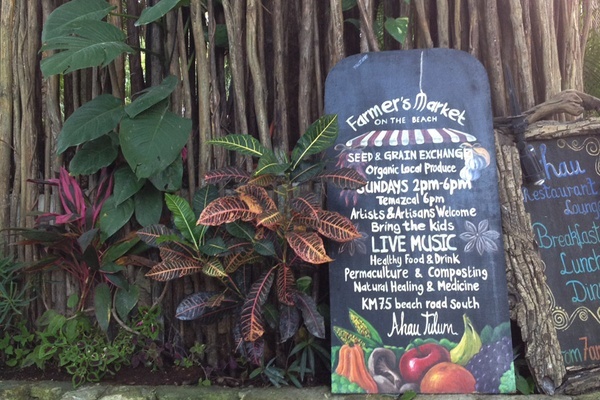 There is a seed exchange, organic produce for sale, a sweat lodge, and music. There is a massive supermarket between the beach and the town of Tulum called . It reminded me of a Super Walmart, not my favorite place to shop. But I did find something amazing inside: huge bins of loose cinnamon and hibiscus. I popped some hibiscous in my water bottle and let the sun do its magic. Voilà! Hibiscus tea for the beach. Jessa is a makeup artist, herbalist, natural beauty expert and founder of , a natural beauty and wellness shop featuring Jessa's favorite products. You can follow her on , , and . She travels for the flowers, the sunlight, and the cafes.